Well, its Christmas time which means you need to start whipping out all your Christmas projects to decorate your home. 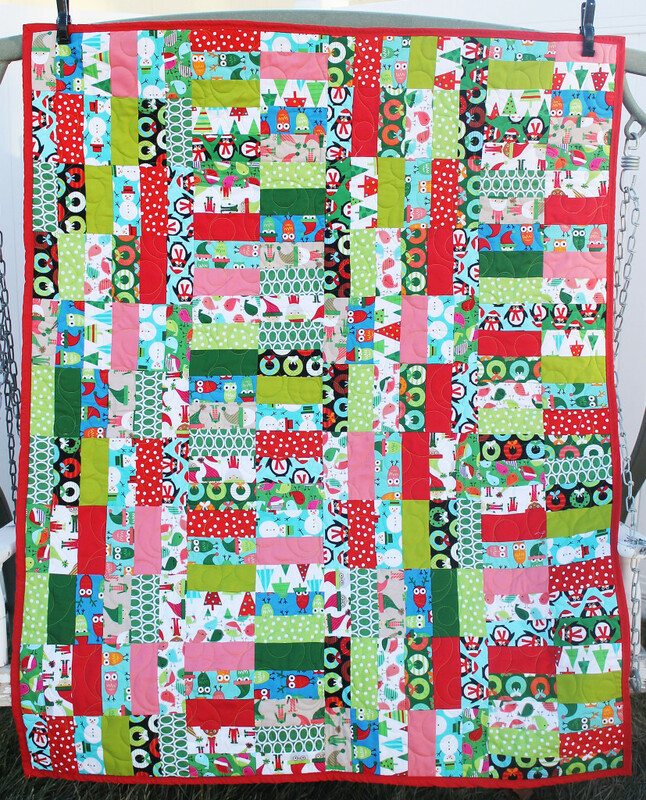 One of my favorite short-cut quilts that I have done is the Jelly Roll Jam Quilt Pattern. The top literally took about 2 hours to do and paired with some festive Christmas fabric, it looks wonderful a throw on the couch this holiday season. 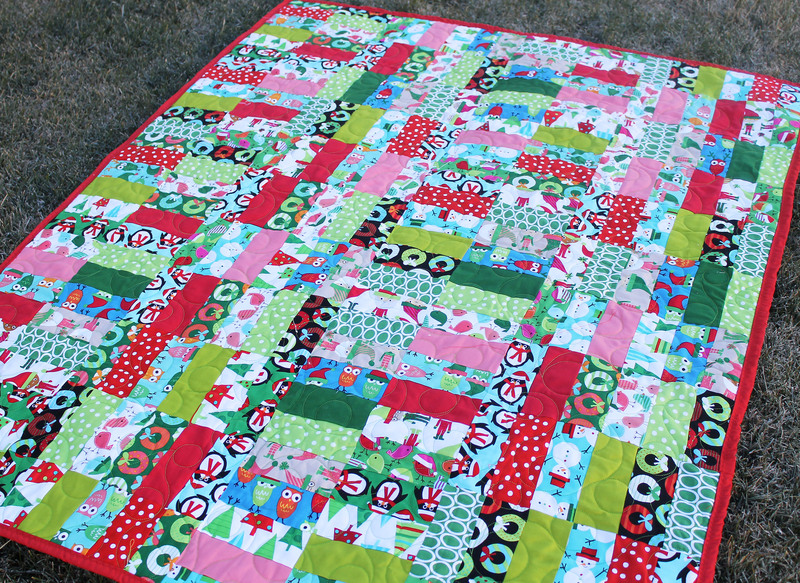 You can head over to The Fat Quarter Shop to get the latest Christmas inspired jelly roll to try this pattern. 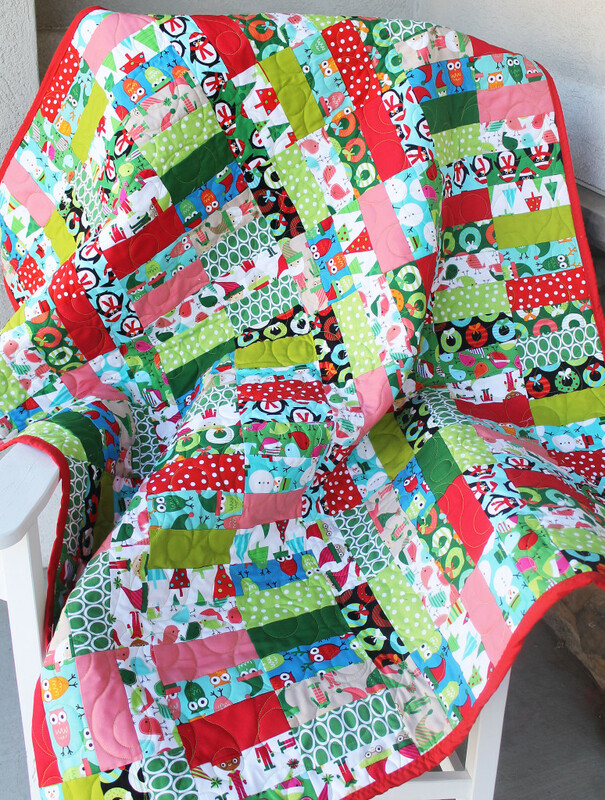 This quilt was made with Ann Kelle Jingle Fabric Collection. I actually gave this quilt away two years ago as Christmas present to my daughter’s grandma and she loves it! Its a staple piece on her couch during the holidays. I just love how bright and cheerful the colors are. 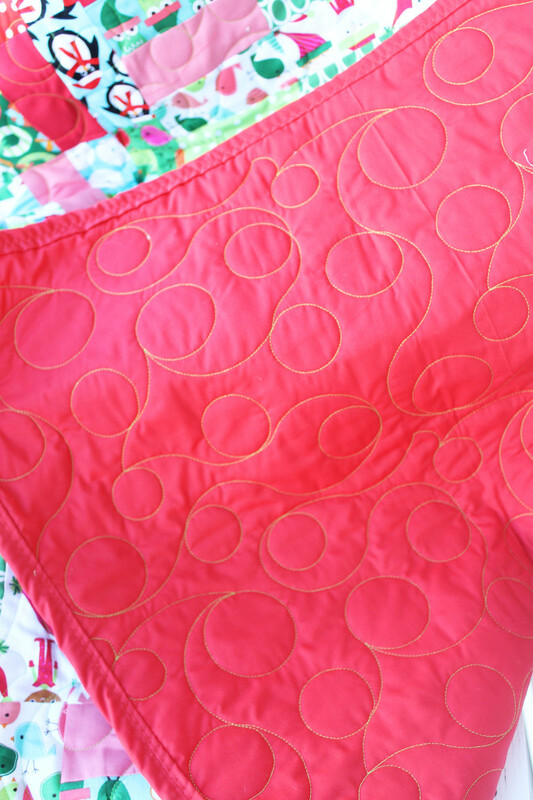 The quilting was done by Melissa at Sew Shabby Quilting. She is one talented girl and I don’t trust anyone else with my quilts. This is a simple bubble design that she did. Turn out just fab! I need to get myself another jelly roll and do one of these for the Spring or Summer. I think the pattern will look great for a picnic quilt. If you want to try this easy pattern, head over to The Fat Quarter Shop for the Free Pattern!